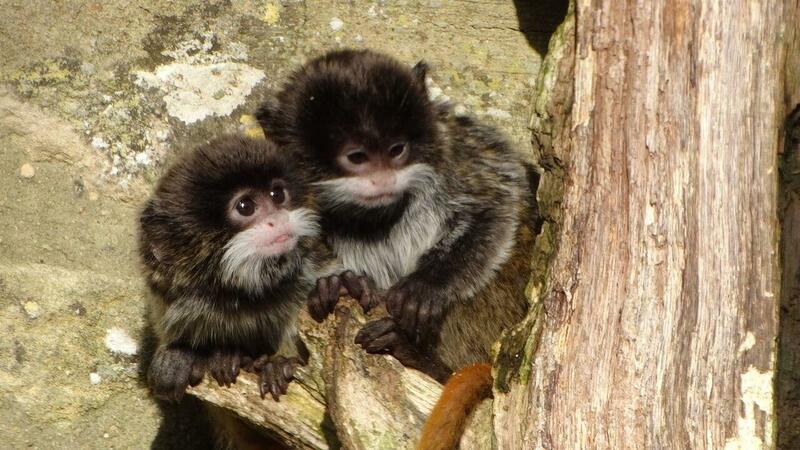 Cotswold Wildlife Park & Gardens in Oxfordhsire recently announced the birth of tiny Emperor tamarin twins. Weighing in at just 35g when born, the yet to be named youngsters can now be seen exploring their enclosure opposite the park’s interactive lemur exhibit Madagascar. Emperor tamarins are named after the Emperor of Germany, Wilhelm II, who boasted a similar spectacular moustache. The mother tamarin will usually give birth after a gestation period of around 140-150 days. Once the baby is born, the male will take parental responsibility by placing the newborn on his back, passing only to the mother to feed. The baby will then spend the rest of the time riding around on its father’s back until old enough to leave.